Once while Jesus was standing beside the lake of Gennesaret, and the crowd was pressing in on him to hear the word of God, 2 he saw two boats there at the shore of the lake; the fisherman had gone out of them and were washing their nets. 3 He got into one of the boats, the one belonging to Simon, and asked him to put out a little way from the shore. Then he sat down and taught the crowds from the boat. 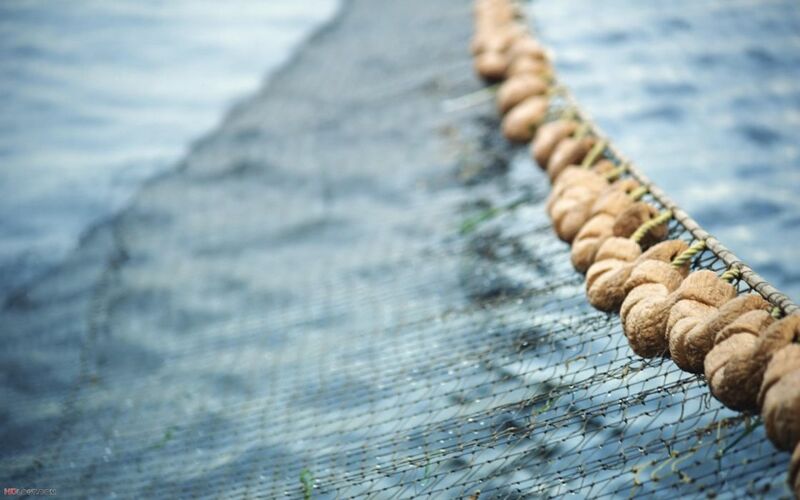 4 When he had finished speaking, he said to Simon, “Put out into the deep water and let down your nets for a catch.” 5 Simon answered, “Master, we have worked all night long but have caught nothing. Yet if you say so, I will let down the nets.” 6 When they had done this, they caught so many fish that their nets were beginning to break. 7 So they signaled their partners in the other boat to come and help them. And they came and filled both boats, so that they began to sink. 8 But when Simon Peter saw it, he fell down at Jesus’ knees, saying, “Go away from me, Lord, for I am a sinful man!” 9 For he and all who were with him were amazed at the catch of fish that they had taken; 10 and so also were James and John, sons of Zebedee, who were partners with Simon. 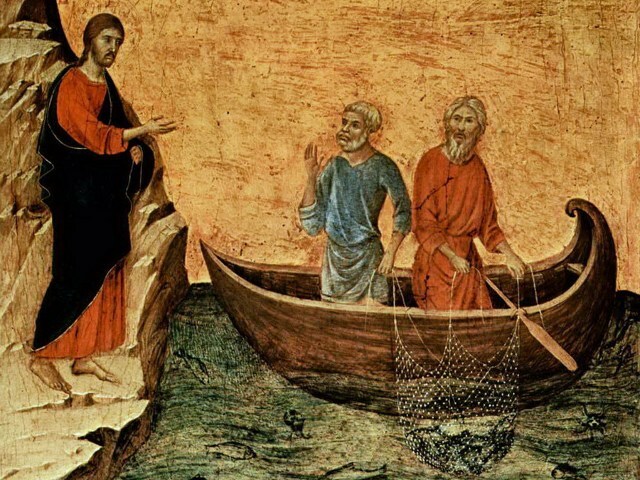 Then Jesus said to Simon, “Do not be afraid; from now on you will be catching people.” 11 When they had brought their boats to shore, they left everything and followed him. Author’s Note: There are several excellent crossings of this text posted on our website. Check them out. There is also a sermon by Fred Niedner on this text. This writer gives credit to Fred for his thoughts in the crossings below. Step 1: Initial Diagnosis (External Problem): Fishing Is Tough Work! Why is it that whenever we hear Jesus tell us that we will be catching people, we automatically assume our role is to be the fishermen? As if, it’s up to us to catch some people for Jesus. Well, yes, but of course we do want our churches to grow. Of course, we want more people to hear the gospel. And Jesus did give us that mandate. But [demur, demur] … golly. That’s hard work, and we don’t have theology degrees. Oh, here’s a great idea! Let’s hire a professional and task her with the job. That’ll get us off the hook. Plus, we won’t have to get involved in all life’s messiness. What’s behind that chutzpah? Plain and simple, it’s our natural proclivity to assume that everything is “all about me.” Fact is, we operate as if we are the center of the universe. We are the arbiters of right and wrong. Call it pride. Call it hubris. Call it heresy. Call it sin. (If you’re not convinced, ask yourself this: Do you always have to be right?) When Peter saw the miraculous feat Jesus had just pulled off, he was startled—perhaps stunned. He recognized he was in the presence of no ordinary human being. He was in the presence of God! That God-encounter nailed Peter, scared him to death, made him cry out, “Go away from me, Lord, for I am a sinful man!” He recognized that he was a mess. Doesn’t his reaction ring true for us, too? Encountering God is always terrifying, for two reasons: First, God’s laser-probing gaze always exposes the truth about us—that we’re messed up sinners, wallowing in self-righteousness and self-glorification. Somehow, instinctively, we “see” God “seeing through” us—hence the terror (even as we desperately try to manipulate the evidence to show we’re really “not all that bad!”). Second, accompanying such truth exposure is another, obvious-to-us conclusion. Or, call it a verdict: Sinners die. Peter was “going down”—and he knew it. Hence his plea, “Go away, Lord!” He couldn’t face what he knew he had coming. But Jesus didn’t go away. He answered, oh so gently, “Do not be afraid!” We know now, because we have the benefit of hindsight, that Jesus could just as well have said, “No worries. I’ll be with you all the way, Peter [or, insert your own name here]. Consider me your Siamese twin. I’ve come to join you in the messiness of your life—and, I’ll get you through and out of that mess. When you go down, when you get nailed, I’m there with you. Just hang on to me!” With Easter’s dawn, Peter discovers that he will survive his God-encounter, and so will we. Death is trounced. With Jesus, our God-encounter has become an incredibly merciful encounter! This does not deny the fact that Peter still got nailed with the truth – as do, as will we all. Why did we assume we could exempt ourselves from life’s messiness? Why did we ever think we could avoid our own crosses? Yet, bonded to Jesus, Peter survived his encounter—as will we! Something serious deep down in our hearts gets triggered by such mercy: a metamorphosis of sorts – from hubris to humility. (Theologians call that process “repentance.”) Believe it or not, we actually willingly die to our selves. Of course it hurts. Of course it’s messy. But, isn’t that when we look the most like our crucified-and-risen Savior—with our arms spread wide, cruciform-shaped? Step 6: Final Prognosis (External Solution): Anointed (Baptized) We Are the Nets!